How do you make a recipe look effective? How do you convince a reader that your recipe will work before they’ve even tried it? One solution, as discussed by Sietske Fransen for medical recipes, was to include the names of noblemen and women, validating the recipe by showing who it was effective for. Early modern alchemists were even more concerned with these questions since they continually faced accusations of fraud. This led to meticulous, even overscrupulous, records of how recipes were acquired. 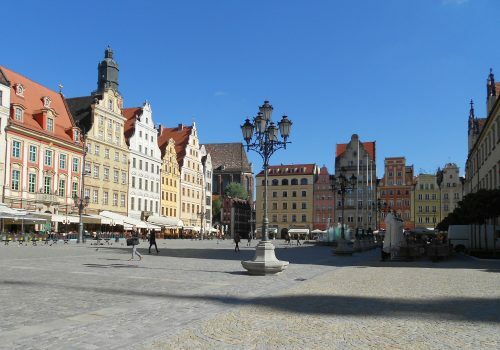 In the year 1570 on 21 August, Lorenz Sehehaufer of Magdeburg came to me in the marketplace in Breslau and told me that in the land of the Poles there was a tincture about which his master, Paul Gese, the town piper of Breslau, had learned so much that in eight weeks he was able to make it himself. Then I asked him where it was. He answered, “In Poland.” But I knew nothing about it. And he wanted to know whether I wanted to know anything about it. Shortly, in just a few hours, I knew about it too. 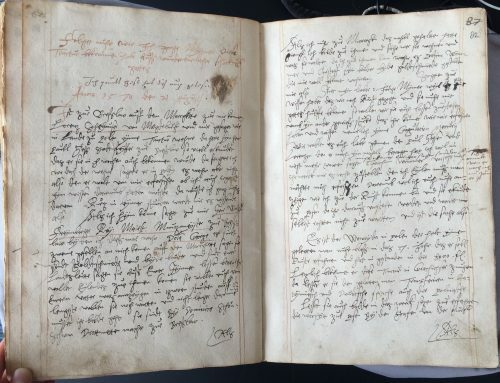 Image 2: Georg’s account of his recipe hunt in Breslau. Leiden University Library, Vossiani Chymici F19, ff.81v-82r. Mr. Georg, two apprentices came to see me on the market square. They said they were goldsmiths and both brothers. And they were your countrymen, they said, from your homeland. If you please, they wanted to see you as soon as they could. They also wanted to tell you something of your father. They will wait for you for two more hours at the most and no longer. So you must go immediately. As I had already had my midday meal, I soon went to them and asked who they were and what they wanted. They were Joachim Wimmer and Christoff, his brother; both journeymen goldsmiths who were known to me. They spoke to me thusly: “Listen, my dear Georg Mymer. As you well know we are well-versed in the art, and we have a recipe for the coagulation of mercury. We wanted to give it to you rather than Paul Gese and Lorenz, who cheated me once. I will not believe him anymore,” said Joachim Wimmer. “So I will tell you how I came to the art and discovered it in Posen. “So here’s the thing: There is a voivode in Poland, who has had a learned man for seven years now and has spent 8,000 florins on him. The voivode recently found this tincture in the Greek tongue. Then he had the learned man translate it into the Latin and German languages, and also the Polish. “He immediately set to work to discover the truth of the recipe in Posen with the Count of Gurk[?]. The learned man, however, sought Joachim Wimmer out, saying that because he was a goldsmith, he might know how to work the recipe correctly. The learned man let Joachim Wimmer copy the recipe, and Wimmer proceeded to copy one for him as well. Then, when Joachim Wimmer left, he came directly to me and left quickly again. So I acquired the tincture from him in the manner I have described above. He also left his signature next to it as proof. There is much more to say about this, but it is not so important, and I will leave the story here. Image 3: Copy of Joachim Wimmer’s confirmation and signature. Leiden University Library, Vossiani Chymici F19, ff.77v-78r. Georg is obsessed with the specifics. He tells his reader who gave him the recipe, how he found them, how they found the recipe, and so on, going back to a Greek original. He cites the involvement of a voivode and a count. 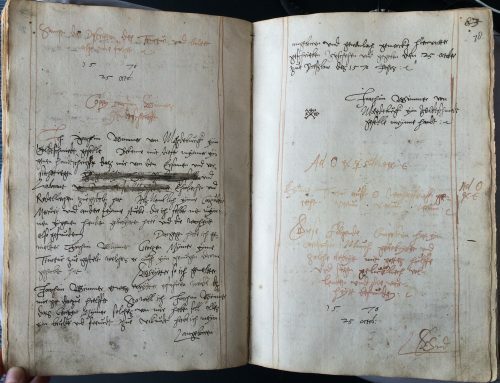 He collects witnesses – Paul Gese signs this account, while Joachim Wimmer writes his own confirmation, copied elsewhere in the manuscript. He praises Joachim Wimmer’s technical skills as a goldsmith and thus his ability to judge a recipe. This reflects well on Georg and by extension his own story, as Georg was himself a goldsmith. Georg finishes his tale promising that there is more that could be told if need be. Anyone reading the account in Georg’s presence could presumably ask him to supply information not available in the written copy. One wonders, however, what Georg left out of his account, given that he already notes that he had lunch on the day in question. Georg brought together this overwhelming collection of details to establish the truth of recipe among his fellow alchemists. The stakes of reliability were high. He risked losing access to future recipes, as did Lorenz Sehehaufer, if his good reputation were called into question. Whether Georg and his recipe were, in fact, trustworthy is another question. A modern reader might be excused in wondering whether Georg Mymer protests too much. This is an extraordinary amount of money for the period. Jan Zamojski (1542-1605), royal chancellor and the richest man in the Polish-Lithuanian Commonwealth, was worth about 30,000 florins. Olbracht Łaski (1536-1605), the famed patron of alchemy and eighth richest man in the Commonwealth, was worth 4 or 5,000 florins. Rafał T. Prinke, “Beyond Patronage: Michael Sendivogius and the Meanings of Success in Alchemy,” in Chymia: Science and Nature in Medieval and Early Modern Europe, ed. Miguel López Pérez, Didier Kahn, and Mar Rey Bueno (Newcastle-upon-Tyne: Cambridge Scholars Publishing, 2010), 205. Good stuff. I can’t wait to read your dissertation!